Several French lawmakers tabled a motion of no confidence, with a vote to be held on Thursday in the wake of President Emmanuel Macron's handling of the "gilets jaunes" ("yellow vests") crisis. André Chassaigne, of the French Communist Party; Olivier Faure, from the Socialist Party; and Jean-Luc Mélenchon, founder of France Unbowed (La France Insoumise) movement, along with 59 members of the National Assembly — the French parliamentary body — put out a joint statement while filing a motion of no confidence against Macron's government, the AFP reported. The politicians’ statement claimed that the conciliatory measures announced by Macron on Monday — including a minimum wage increase, tax-free overtime pay and end-of-year bonuses — were "neither fair nor responsible" and "are not likely to respond to the anger and the demands of the French". Under Article 49 of the French Constitution, a no-confidence motion must be voted on at least 48 hours after filing and an absolute majority of MPs is required to bring down the government – an event which is unlikely to happen as Macron’s own La République En Marche! party has a strong majority of 309 seats in the 577-seat parliament. However, the vote has already triggered a response from the French government, forcing Prime Minister Edouard Philippe to set out his budgetary plans for 2019, Bloomberg reported. Philippe has said that he would detail plans for next year’s budget during his keynote speech ahead of the vote. The vote could be postponed as a consequence of the shooting in Strasbourg that killed two and injured 13 others. 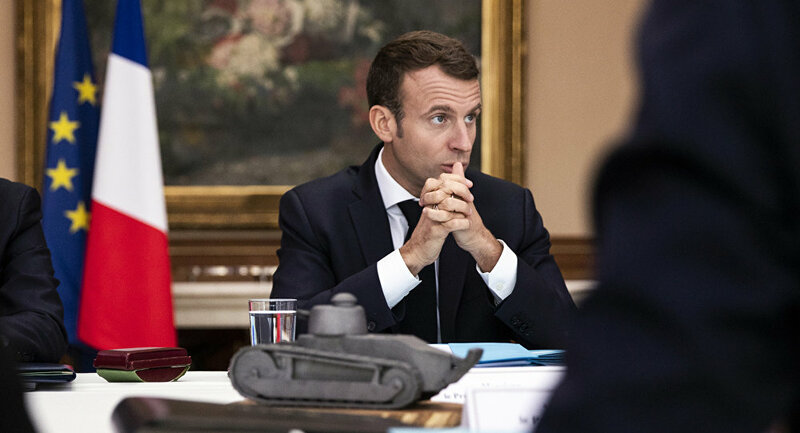 Paris is Burning, Does Macron Have an Extinguisher?